In this article we look at ten simple ways you can increase blog traffic. Some involve minor tweaks to your content; others require a more fundamental look at how you approach blogging. (For more in-depth tips on increasing traffic, do check out our SEO book). Before we delve into specifics though, let's start with an important question: why blog? First, blogging can be a lot of fun. It allows you to express yourself and share your views with a potentially large audience. Second: done well, blogging has the potential to dramatically increase the number of people visiting your site. According to inbound marketing experts Hubspot, businesses that blog regularly tend to attract 55% more traffic than those that don’t (it's usually the best way to go about creating an inbound marketing campaign). So, if you write well and are blogging about a subject in which there is a sizeable interest, you can end up with a large amount of traffic on your website. And we all know what lots of traffic to a website means: increased sales opportunities and revenue. But how do you go about creating a successful blog? 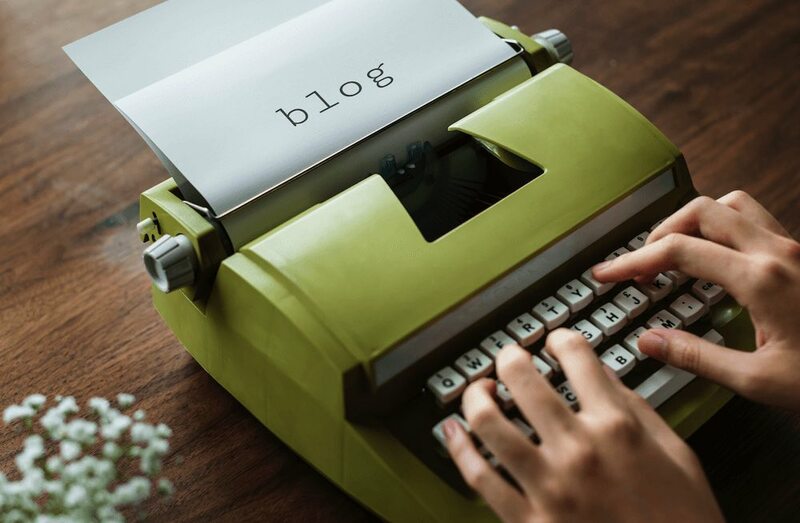 At the heart of getting your blog noticed, and driving lots of traffic to it, is writing really great content – and that content is going to be much better if the person writing it is both knowledgeable and passionate about what they are writing about. Posts that are written from the heart – and not by a content farm – are far more likely to be the posts that interest people and crucially, get shared. BUT: it might be the case that you personally are not the best person to write the posts for your site. Perhaps you're not a great writer; perhaps you don't have time to devote to blogging. If either of those statements sounds like it might apply to you, consider finding a writer who is capable of creating really great posts and putting in the hours to do so. Whoever ends up writing the posts on your website, their personality has to shine through. Readers identify with writers because there is much to like (or even dislike) about their personality, mouthiness or tone of voice. If a reader likes YOU as a writer – and not just the quality of the content you are producing – you are far more likely to attract a dedicated following. So make sure your personality comes across in your posts; this helps you form a rapport with your readers, who may be more inclined as a result to come back to your blog simply because they like you as an individual. It's dead easy to sit down and write blog posts which cover, in considerable depth, topics that nobody is particularly interested in. Similarly, it's easy to write a blog post covering an area that people are really interested in, but to give it a title containing keywords that nobody ever searches for. Keyword research is your friend here: you can use a wide range of tools including Ahrefs, Semrush, Serpstat and Google Keyword Planner to discover the number of monthly searches for particular keywords, and find out how difficult it would be to rank for particular search phrases. For a very detailed look at how to go about keyword research, you could do worse than check out Ahref's 'how to do keyword research' guide. Studies show that ‘long-form content’ performs better in search results than short or 'thin' posts. Long-from content refers to posts with high word counts that go into HUGE depth on a particular topic. There are a couple of reasons why long-form content helps to generate higher positions in search results. First, longer posts will naturally be more keyword-rich and therefore more likely to crop up as results for 'long tail' keyword searches. Second, the in-depth nature of a long post is more likely to satisfy readers who come across it. The post will be more likely to answer your visitor's query, or solve their problem. As a result, the post is more likely to get shared on social media or get linked to from other sites — with very positive implications for traffic. If you do any online research into blogging or SEO, you'll come across loads of articles which stress how important it is to create 'fresh' content in order to generate good search results and traffic to your site. However, I'd caution against interpreting this as an instruction to constantly produce new posts. With my own content, I've found it much more useful to focus on quality over quantity; and rather than blogging just for the sake of it, I prefer to invest my time in keeping my existing content as strong (and as in-depth) as possible. I do this by continuously reviewing older posts and enhancing them with the most up-to-date information available. Not only does this send the 'freshness' signals to Google that the search engine's algorithms reportedly approve of, but it typically increases the length of posts and helps provide the 'long-form' content which tend to perform better in search results. It’s REALLY important to use good images in any blog posts you publish. There are four main reasons for this. First, it helps readers get a sense of what you are writing about (this is particularly important if you are exploring difficult concepts – visual aids can really help simplify matters). Second, the main picture accompanying your post will show up whenever your visitors share one of your posts on social media, and if it is a dull picture, it’s far less likely to generate clickthroughs to your site. Third, as with text, images can be optimised to help your content appear in search results. By adding suitable keywords to a picture’s 'alternative text', file name and caption, you can help search engines gain a better understanding of what your post is about (and by extension, help the post appear in relevant search results). And finally, good images help to make your content look authoritative. If you use a beautiful piece of photography instead of a dodgy piece of clip art to accompany a blog post, it is far more likely to be taken seriously — i.e., read in the first place! — by people who come across it. There are a series of technical steps - known as 'on page SEO' which you should take to give your blog posts the best chance of performing well in search. use keyword rich alt text and file names for your images. For a few more tips on this area, check out our article on how to make your content visible in Google search results or download our full guide to SEO. Once you’ve attracted a visitor to your blog, you should always attempt to capture their email address. This allows you to notify visitors via e-newsletter of new blog posts, which can result in more traffic and shares. If you use an email marketing tool (like Getresponse, Aweber, Mailchimp or Mad Mimi) you can use your RSS feed to power your e-newsletters, meaning that every time you add a new blog post your subscribers will automatically receive an e-newsletter with a notification about the new content. * Be careful with pop-ups (or 'interstitials' as Google likes to call them). They can dramatically increase the number of leads you generate, but they can also have a negative impact on search traffic, particularly if over-used on mobile versions of your site. Read more about Google's approach to pop-ups here. Actively encourage your readers to share your blog posts. If they follow these encouragements, not only should you see a rise in traffic to your posts, but you may also be sending subtle ‘signals’ to search engines regarding the popularity and quality of your posts (the jury is out on whether social sharing has a direct impact on search results, but there does seem to be a correlation of sorts). Using a tool like Sumo – which allows you to add a truckload of clever social sharing icons to various parts of your website, as well as data capture forms - can help in this regard. Some SEO experts believe that Google treats posts which generate a lot of community discussion preferentially to those without any comments. First, your post has to be contain quality content. Second, it has to have a lot of backlinks — links from other sites — pointing to it. We've covered the 'quality content' bit earlier: you basically need to focus on producing long-form posts which cover the topic you're writing about in huge depth. Getting backlinks is arguably a harder task, as it involves reaching out to other bloggers and asking them to include a link to your content on their posts. This is a time consuming affair, but it's absolutely essential, and if you take a thorough approach to it, it can prove very fruitful. You'll find a really helpful list of link building suggestions over on the Backlinko website. One thing: never buy links from spammy SEO services! This can actively damage your site's position in search, and is technically in breach of Google's terms and conditions. Any thoughts on how to increase blog traffic? We hope you've enjoyed our tips on how to increase blog traffic. If you have any suggestions or queries relating to blogging, we'd love to hear them - feel free to add a comment below. (Note: if you're reading this on a mobile device, you may be reading the faster-loading 'AMP' version which doesn't feature comments. You can add comments on the regular version of this article by clicking here).